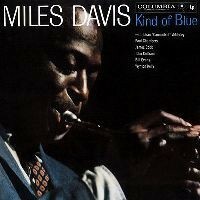 Miles Davis- (1926 - 1991) was an American jazz composer, trumpeter and multi-instrumentalist. He is regarded by various experts as one of the most influential, innovative and original musicians of the twentieth century. The epitome of cool, an eternally evolving trumpeter who repeatedly changed the course of jazz between the 1950s and '90s. 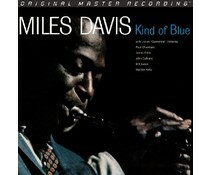 Davis played alongside, among others, Louis Armstrong, Duke Ellington and John Coltrane a major role in the history of jazz. 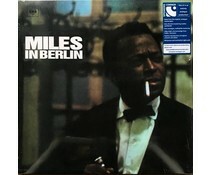 He played different styles, including bop, cool jazz, modal jazz and jazz-rock fusion. 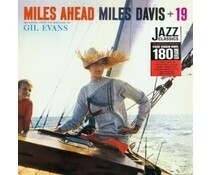 Miles was a key figure in the development of the latter three styles. 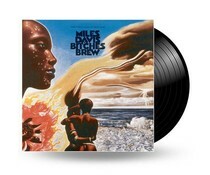 As a result, Miles called the Picasso of jazz. 2x LP 180 gr. HQ Vinyl 45RPM = Half-Speed Mastered From Original Master Tapes! Pressed at RTI! 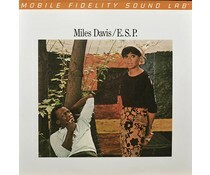 2009 EU reissue on 180g LP= With a romantic sound reminiscent of his early '50s Blue Note recordings Ascenseur Pour L'Echafaud is a wonderfully reflective precursor to Davis' landmark release Kind Of Blue which was issued the following year. 2016 EU issue on 180g LP+mp3-comprising of two soundtracks – Davis’s ‘Ascenseur pour L’Echafaud’ and Blakey’s ‘Des Femmes Disparaissent’.